Rent College Pads was created to solve a problem college students across the nation face every year. Our mission to facilitate the housing hunt for students has been received extremely well by students, universities, and landlords. In our early years, our unique approach to providing this resource has garnered the attention of the media as an emerging leader in the new niche market of off campus housing resources. Feel free to check out some of the following articles featuring Rent College Pads. 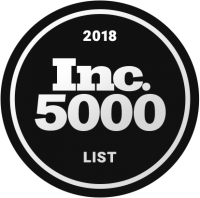 Rent College Pads made the list of the "most innovate companies" of the 2018 Inc. 5000! 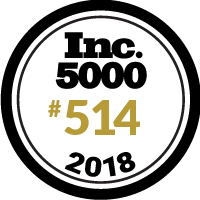 We are thrilled to have been named #514 on Inc. magazine's Inc. 5000 Fastest Growing Companies! Rent College Pads, a service designed to help students find off-campus housing, has recently expanded to Clemson University. 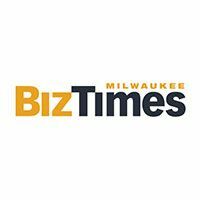 Milwaukee-based Rent College Pads Inc. has raised $850,000 in a funding round that began Sept. 1 offering $1 million in equity, according to a Sept. 14 SEC filing. The company, founded in 2012, developed a website that allows college students to find and compare off-campus housing options. Rent College pads started in the 96square co-working space at 1101 N. Market St. but has since moved into a 5,500 square-foot-space in the same building to accommodate growth. Rent College Pads said it has secured $1 million in seed funding from the Wisconsin Super Angel Fund. 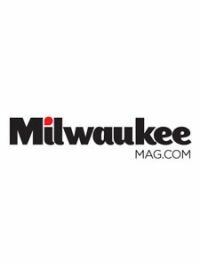 The Milwaukee-based startup, which helps students find off-campus housing through an online search engine, said it plans to use the funds to expand into more than 100 campuses by the end of 2017. Among many of the challenges college brings, finding suitable off-campus housing is one that students find themselves stressing over frequently. Illinois State University has many realty companies available for students to find their ideal apartment or home. However, too many options can lead to headaches and feeling overwhelmed. Rent College Pads, Inc., is a solution students can look to. Rent College Pads, a website designed to help students find off-campus housing, has recently expanded to IUP. The company is an online resource that helps college students find housing options that meet their needs by making the search process easier. RentCollegePads.com began listing rental properties located around Virginia Commonwealth University in March. The off-campus housing site lets landlords list properties and caters to students looking for rentals and roommates. Bootstrapping in America by Tasty Trade interviews Dominic about Rent College Pads. Rent College Pads, a service that assists students in finding off-campus housing, recently came to Appalachian State University. The service partners with landowners, and allows students to view all the important information when deciding where to rent, such as price, number of bedrooms, whether they allow pets and more. It also shows when upcoming open houses are and helps students find roommates. About 800,000 students have used it, and soon Penn State students will get their shot, too. RentCollegePads.com recently launched its Penn State network of off-campus housing, which can be used starting Sept. 1. 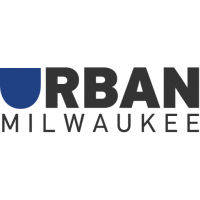 A Milwaukee start-up, its website centralizes apartment advertising and shopping to help students find the right place to live. For students who may still be struggling to find a place to live next year, a new website can help streamline that search. RentCollegePads.com, which has been able to be used on campus for three months, is specifically designed to help students search for houses or apartments and to make the hunt easier on them. Rent College Pads, a new service that works with students and landlords around college campuses to facilitate off campus housing searches, launched at Cornell Sept. 9. Though only launched this month at Cornell, Rent College Pads already has 2,000 Cornell students registered to their website, which concentrates listings and subleases for college students. Cornell students currently have access to listings for over 100 different properties, according to Jeremy Schmidt, director of marketing for Rent College Pads. Rent College Pads is a site that allows college students to find and compare thousands of college apartments and off-campus options located near a college or university. It also helps users find roommates or subleases. It currently operates in Illinois, Indiana, and, of course, Wisconsin, where it has a presence at several U-W schools and Marquette. Rent College Pads makes money when property managers pay to list their vacancies. After Dominic Anzalone struggled to find housing for himself and five roommates at the University of Wisconsin-Whitewater, he developed a web-based solution that has rescued thousands of college students lost in the housing search.“There is a big issue with college housing, and I want to be the one to solve it,” said Anzalone, founder of Rent College Pads LLC. It wasn't the finance, accounting or economics classes. For Dominic Anzalone, the most challenging part of college was finding a place to live. House searches conducted by Anzalone and his five roommates at the University of Wisconsin-Whitewater involved procrastination, interactions with terrible landlords and the frustration of seeing the best properties snatched out from under them, he said.